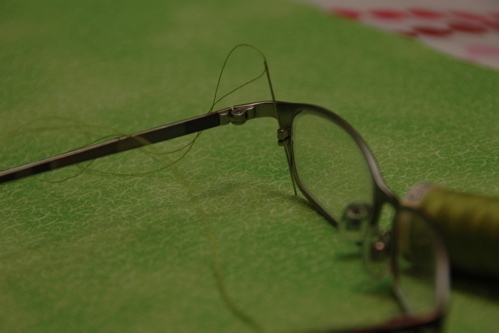 In a darkened room, I lost the micro-screw to the left lens of my metal eyeglass frames. The optical shop is closed today. I can’t find my spare pair of glasses, and I don’t own an eyeglass repair kit. A paper clip is too fat a replacement for the screw. A needle and thread, however, will do the trick. As every Kokernak knows, if you don’t have the right tool for the job, make a tool, or re-purpose another.